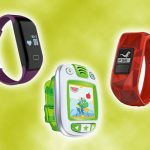 Are you looking to buy a SmartWatch but don’t know which one to buy or where to start looking. Now here’s a start – the Pebble Time. There are plenty of reasons why you might want to buy Pebble Time, so let’s jump right into it. When looking to buy a SmartWatch obviously you want a watch that’s comfortable, light and it feels like it’s not even on your wrist. I feel the Pebble time does just that especially since it only weighs at around 42.5 grams, which is definitely not the lightest SmartWatch. 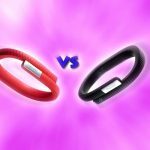 However, since the casing is made of polycarbonate material and the wristband is made of smooth silicon with the plastic strap, wearing this watch is definitely not a problem. I know the size can be a debatable topic since most individuals who have a smaller or larger hand might not agree. The watch square size of 40.5 by 37.5 millimeters is not too big or too small. 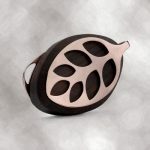 It also has a slight bend at the bottom to make even more comfortable to match the curve of your wrist. Software wise I can truly say that I’ve actually enjoyed the watch faces and some applications more on the Pebble watch than on my Smartphone. It just presented me with a wide variety of application options to choose from. 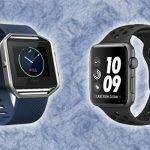 There are more than six thousand applications to install and run for Pebble Time and plenty of crazy watch faces to choose from to fit your style. Navigate through the new operating system known as timeline. You could easily check out your calendar events for the next day or even the previous day just by pressing the Up or down buttons on the right side. It gives you estimates of the weather. It will tell you if it’s a holiday, will show you sports scores, birthdays and much more. It’s a pretty cool timeline because some applications such as the ‘Day today’ add some pretty interesting info on your timeline such as famous people who were born today or even died today, the word of the day, things you didn’t know about and much more. In addition, some of the applications you can install are creative. 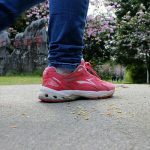 There’s an app for seven minutes of exercise to stay fit, ESPN for live scores, a bunch of timers, a dialer to make phone calls, a compass and even some games such as a replica of the Flappy bird or a Pixel miner where you are mining dirt for hours on end. You will really enjoy the transition animations. Some users might disagree saying it takes a bit of time but to me it shows that people put a lot of time and effort into each screen and notification that you received. It rather makes you smile when you receive a tweet or a SnapChat because it has a short animation for the icon each time the watch vibrates. Let me just say that with the vibration on this watch you will never miss another notification again. I literally wake up at night sometimes just because the vibration is crazy loud especially on a table. Of course, you can set the vibration strength in the settings to a lower setting but you should set it high to experience true vibration. When you receive a notification, not only do you get an amazing animation but if you have an Android you also get some pretty nifty options to deal with that notification. Some options are dismiss, open on phone, mute the application completely, dismiss all the notifications or you can start quiet time. If it’s a message or an email you can also reply to the message using a template, emojis or even respond by voice which is actually pretty accurate. Color differentiates this watch from the rest of the pebble editions. The display is not an LCD display like most SmartWatches or a retina display like the Apple watch but a color e-paper display. This does mean that the viewing angles are not as good as other displays and it is not as bright as the Apple watch but the display is always on and it will barely affect your battery life. There is no need to press any button or flick your wrist to view the time or turn it on during the day. Moreover, the display has a great advantage when viewing in the Sun. The only time you are probably going to use the watch is during the daytime so I’m actually OK with the choice of the display. If its nighttime there is an LED back light that can be turned on for a few seconds, just by pressing any buttons or you can flick your wrist and they will turn on automatically. So yes, this is probably Pebble’s best feature on all of their smart watches, something the top competitors only dream of accomplishing. The battery life is a full week or close to a full week and some users have even reported for up to 10 days of battery life on this device. 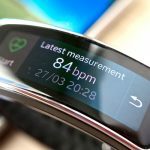 Literally, without hesitation, you can receive hundreds of notifications, open applications, respond to messages and this watch will last you more than four to five days easily. Therefore, if you’re looking for a smart watch that last a couple nights without a single charge this is definitely your best bet. The Pebble Time SmartWatch is water resistant for up to 30 meters. 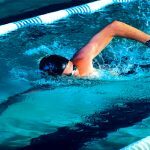 Therefore, you can definitely use a spot in the shower or in swimming pool and it will work just fine. It is also compatible with Android, iOS and even blackberry though there are some limitations on both iOS and even more on blackberry. However, notification wise, it works. 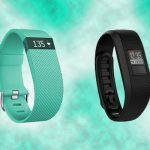 You get a one year’s warranty and the wristbands are easily interchangeable so you can customize them or clean them without hesitation. As you may already know, that Pebble is one of the first commercial SmartWatch companies to make it big. 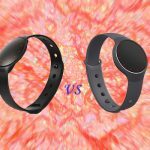 However, these days tech giants like Google and Apple have come out with their own SmartWatches, not only to compete with Pebble but to take dominance in the market. Despite this, Pebble still has a level of relevance in this market and I’ll explain why. For starters looking at it as a basic timepiece, the Pebble Time Steel actually looks nice. The stainless steel casing gives a decent way to it and the genuine leather band looks and feels premium. 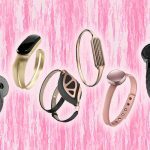 You also have the option to swap out the bands with any other twenty millimeter watchband and the stock band has quick release pins, which make it easier to take off. 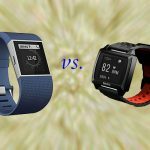 When compared to other watches the Pebble Time looks more like a tech toy than an actual watch but these features definitely remind you that it’s the right blend of a tech gadget and a timepiece. In addition, most smart watches are not as water resistant as the Pebble. Pebble can survive up to 30 meters underwater similar to a dive watch. The Time Steel shines in its battery life too. While it advertises 10 days in the box, I was able to get as little as one week and as long as 12 days depending on what background applications I was using. This is highly impressive and you can immediately see where Pebble lacks in processing power and screen technology it makes up for a lasting battery life. Even if the watch runs out of power, it is still able to display the time. Therefore, in mimicking a traditional wristwatch the pebble wins easily. 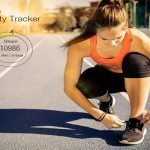 The pebble is able to display accurate notifications from your phone, control playback of your music, show you the weather, sunrise / sunset, time, calendar, alarm, timer and even do some fitness tracking all out of the box. You can also customize your watch by downloading watch faces and increase its functionality by downloading more apps using the Pebble Time app from your phone. The Time Steel uses an e-paper color display with only 64 colors on its spectrum. The tradeoff for display aesthetics are made up for function and rather swift app processes. The display is always on so you don’t have to worry about fighting to get your watch to come on and in dark environments just give your wrist a quick flick to power the backlight. Now this display lacks a touch screen. Instead, you have three navigational buttons on the right side as well as a home button on the left side. Pressing the Home button on the home screen lights up the display and if you press and hold the button, you can silence your watch notifications. The top button on the right side brings up the summary of your current day, showing you the weather, sunrise, sunset times and displays your missed calls. The bottom button shows your forecast for the upcoming days and of course pressing the center button will bring up the menu. The buttons are made of metal and they feel much more resilient compared to its plastic predecessor. This watch also has a built in mic that is primarily used for dictations for different applications. For instance, you can use it to create a quick note, make a checklist, translate languages on the fly and so on. If you’re an Android user you can reply to text directly from your watch which would be convenient at times when you can’t reach your phone. The Pebble Time Steel charger uses magnetic pins but it doesn’t hold together strongly. You need to avoid any accidental bumps as it does detach itself rather easily. Fortunately, the battery only takes about an hour or so to fully charge and you don’t have to charge very often. Therefore, while you’re able to browse Facebook, Instagram, photos and all the other stuff on other SmartWatches, to me that doesn’t make much sense to have those features on such a small screen. As a simple SmartWatch, the Pebble Time Steel does the job and does so elegantly. The Pebble Time Round is the latest addition to their lineup of Pebble SmartWatches. I think this is one of the best SmartWatches out there simply because it doesn’t try to do everything its competitors do. The first thing that strikes you about this SmartWatch is the physical size. It’s unbelievable and really thin. Looks just like a normal watch from the side, which is great. 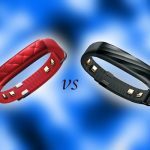 It comes with soft leather bands that are very comfortable. You can also swap the band with any other 20-millimeter band. The Pebble Round has a 38-millimeter diameter and it has quite a big bezel around the side, which covers around a third of the entire face. 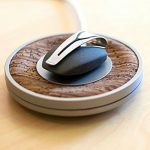 It has an elegant stainless steel body coming in at 7.5 millimeters thin, which makes it super light and comfortable to wear throughout the day. On top of the watch is the display covered in Gorilla glass – tough material that prevents scratches. Moreover, it has a color e-paper display that is easy to see in direct sunlight and save a ton of battery. Overall the design is striking. It has a battery life of around two days and can charge in about 30 minutes. You can use it to glance at notifications on your wrist. The Pebble Time Round also tracks your steps and sleeping schedule, which is good if you are an active person. It’s accurate and the information is detailed. 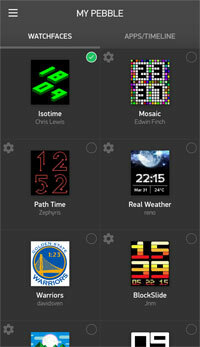 You can pick from thousands of watch faces in the Pebble store. The watch is flawless in every way and you can’t get enough of it! The upcoming new Pebble 2 has optical heart rate sensors for heart rate monitoring. It has a Corning Gorilla glass while the original Pebble had a plastic coating on top of the display. The new Pebble 2 is also thinner and lighter than the original version. 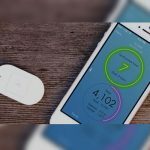 Pebble has developed a health app, which uses a variety of sensors and algorithms to determine what kind of activity you are doing. 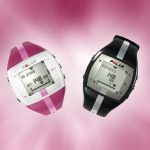 With the addition of optical heart rate sensors, it will be able to better track your sleep cycles or get better at tracking your heart rate while you are exercising. This version has the same silicon straps as previous couple of watches. Therefore, if you have straps from another model you will be able to swap them in and out. It has the same layout of physical buttons on either side and it is not a touch screen SmartWatch unlike most other SmartWatches out there. You navigate through the interface by pressing various buttons. 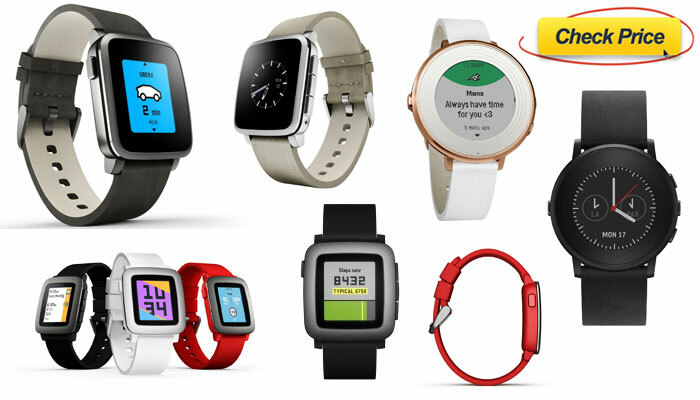 We will also see a new version of the Pebble time series. They have sort of combined Pebble time and Pebble time steel models. You will notice that the bezel is much smaller than the bezel on the previous models. You can see up to fifty percent more of the display. A new software feature has been added to the new Pebble Time series called Actions. This means that if you press a defined button, you will have access to core functions of certain watch apps that you can program here. The idea here is that the interaction is supposed to be shallow so you don’t have to go through multiple screens or press multiple buttons in order to do that one thing you want to do with an app. 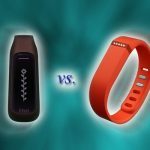 Can Wearable Fitness Trackers Help Improve Your Overall Health? 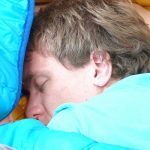 What Are The Phases Of Sleep And Normal Sleep Patterns? 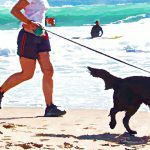 Is Walking For Fitness And Health Underrated? 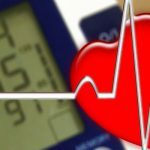 How To Determine Heart Rate Zones And Max Heart Rate? 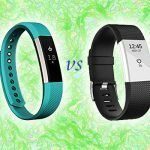 Which Fitness Tracker Has The Best Heart Rate Monitor?